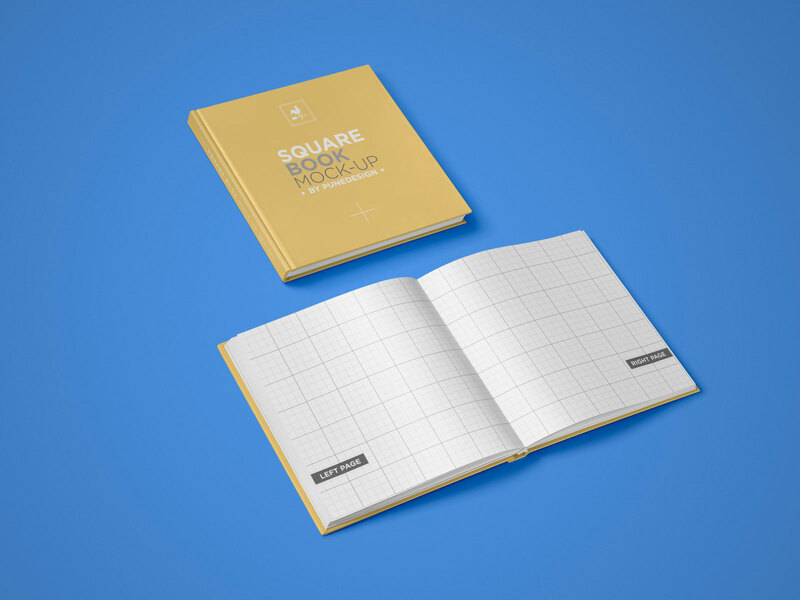 A realistic hardcover book mockup available in square shape with title and inner pages presentation. 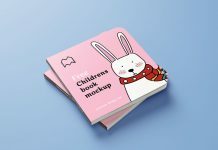 Use it as a magazine, notebook, diary, story book etc. 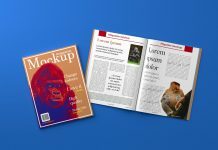 Background color is changeable from the second last photo filter layer, you can also place your own textured background inside smart object as there is a separate layer for it. 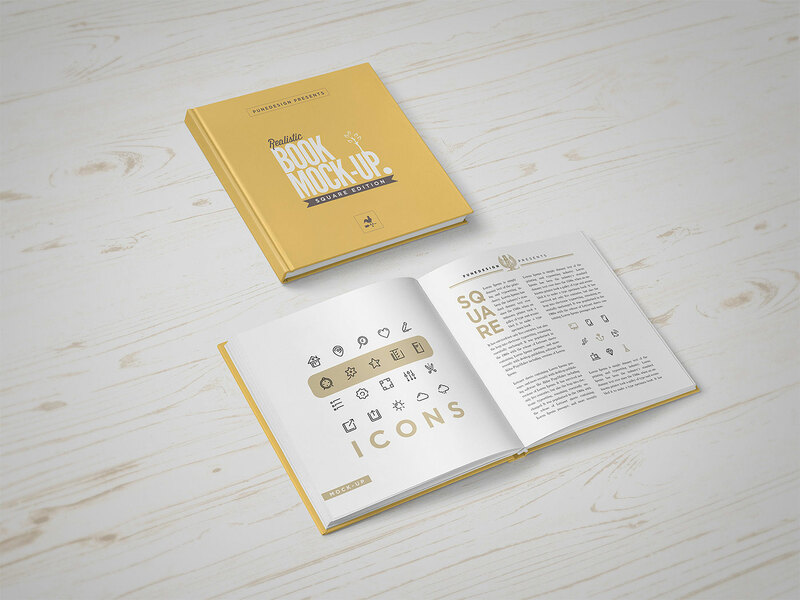 Vignette is applied on the background remove to get a cleaner preview of your book mockup. 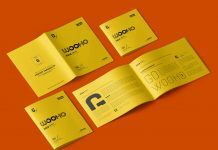 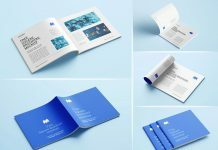 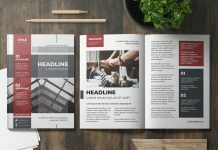 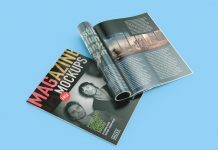 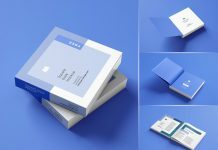 Both mockups are compiled in a single psd file in grouped folders. 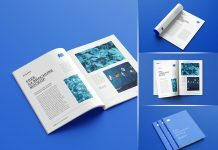 PSD file is very well organized and layers are properly named to quickly access the smart objects and change the artwork. 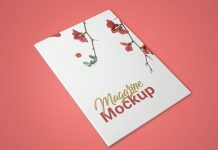 Place your designs and get a super realistic outcome. 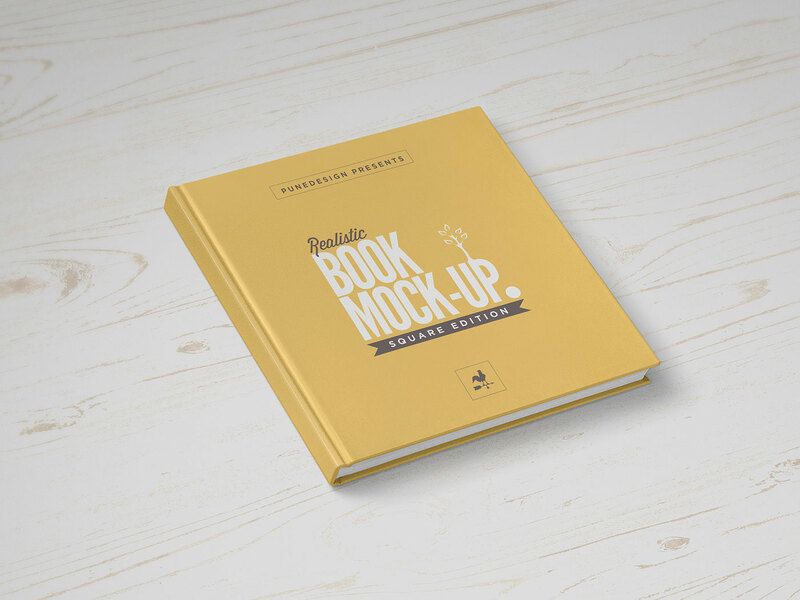 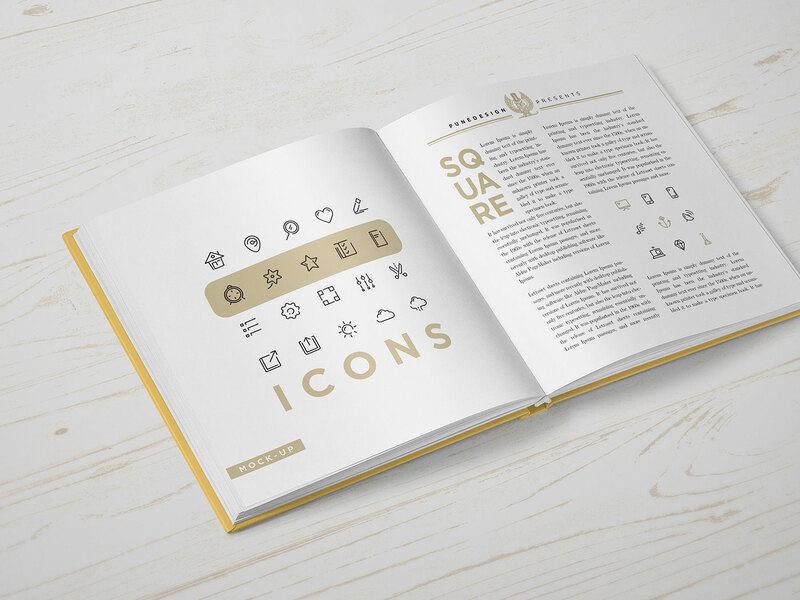 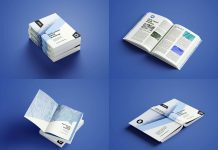 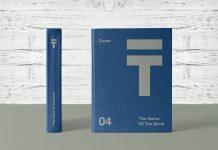 For more book mockups do check our category under “misc”. 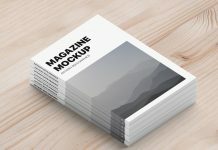 Don’t forget to subscribe to receive high quality free premium mockups on your email.